Located in the heart of Hong Kong’s core business district, CUHK Business School Town Centre is a premium, multi-functional venue for a wide variety of events, from seminars and meetings to training events and conferences. The Town Centre is home to tiered, theatre-style lecture rooms, a multi-function room, and a conference room designed to inspire engagement and enhance user experience. Rooms available for rental accommodate both small, intimate meetings and groups of up to 100 participants, and are all furnished with advanced audio-visual equipment to bring events to life. Originally established as CUHK MBA Town Centre at Tsim Sha Tsui’s East Ocean Centre in 1982, the Centre moved to its current location at the Bank of America Tower in 2002. 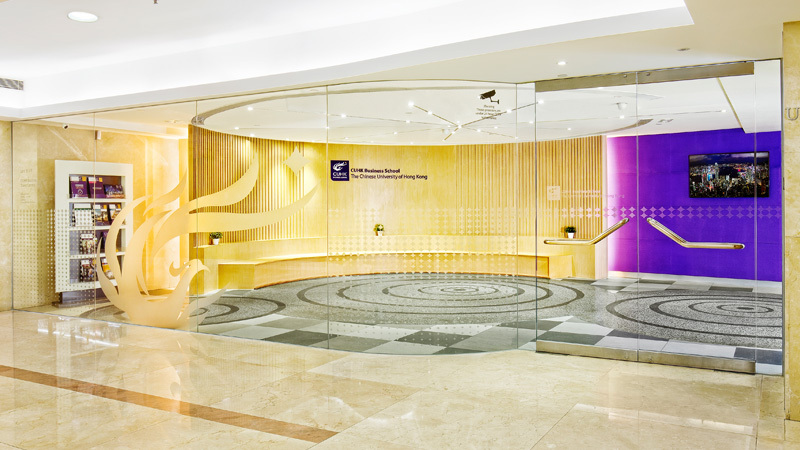 After a full refurbishment in 2016, the Centre upgraded its flexibility in accommodating a range of events, from casual networking to large corporate functions, and was renamed as CUHK Business School Town Centre. The Centre’s reception area and lobby have also undergone a major redesign to maximise comfort along with aesthetic appearance. The Town Centre also currently serves as the teaching venue of the CUHK MBA and Executive MBA programmes. On top of its close proximity to various transport networks, including easy access from Admiralty MTR Station via a covered pedestrian walkway, the Centre is conveniently located near the headquarters of major multinational companies, providing a seamless shift from office to venue. CUHK Business School Town Centre offers flexible hourly, half-day, and full-day rental packages to help integrate conferences and meetings within a busy work schedule.